Anybody thinking about Visalia this year? Looks like the Visalia fly may not happen this year I know that some of the folks who put it on have moved. A option may be, in late September there is a aircraft / hot rod show (Cops & Rodders) on Saturday September 29, 2018. It is at o61 (Cameron airpark.) about 300 show cars, 50 + aircraft and 3500 people attend. The show is held on the streets of the Airpark, its about 25 miles east of Sacramento, Ca. 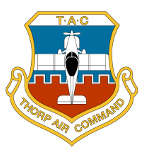 I happen to live at the airpark and if anyone is interested, I will put some burgers on the Bar-B-que and ensure that there is good parking for any Thorps that want to attend. I would like to get some notice of those wanting to attend (if any) so a good burger count can be made. There is some info on the net for the show, look for "Cameron Park Cops and Rodders 2018" on the net. I still would like to make the Visalia fly in if its still going to happen, This is just a option if Visalia doesn't work out this year. Looks like the three Amigos from KVIS are disbanding . Dean and Ira now have their AC listed on Barnstormers . We could really use someone to step up and host a 2-3 day Fly In in SOCAL or the Central Valley !! I'm out for September. Taking the wife to the other side of the world for our 30th. Bring me home a present Dad ! I'll have a look. BTW, I signed up for Sedona in April. Can you confirm dates are 5-7? Yes...Sedona 2019 is April 5-7 . 11 rooms have been blocked at the Lodge . I was looking forward to the 2018 meet so I could see all your rides. I'm looking at picking up my first Thorp in ~6 months or so. I'm in the West Los Angeles / SoCal area and noticed that there seem to be groups in Visalia and Riverside (Flabob?). Seemed like a nice resource to have. Was hoping to get a look at some planes and maybe throw some gas money in for a few demo flights. Unfortunately, I'll be in Germany during the potential Cameron Park fly-in. Anything else on the calendar before Sedona in 2019? Howdy new member ! Not sure what group is left at Visalia as the 3 T-18's I know of that are based there are sold or up for sale . There are 1 or 2 AC in the San Bernardino area . There was 1 S-18 at Flabob , but the last time I saw it the AC had not moved in some time based upon the thick layer of protective dirt on the paint . There are 2 T-18's at Corona ( I think they are still there , don't hear much from them ?) There may be other AC scattered around the LA basin that I don't know about . No other T-18 Fly In's in the WEST other than Sedona , AZ . Sad , very sad !! If you can make it to KSEE in San Diego you are more than welcome to have a looks see at my S-18 and we can possibly fit in a demo flight WX permitting . You can contact me by email or phone after 0700 (L) and before 2200 (L) most any day . (H) 619-669-0583 . No cell phone . I like it that way ! I'll probably take you up on that ride in a month or so. I'll be in touch after I get back from Europe and we'll figure out a time that works for both us. Just thought I should let everyone know that I did sell my T-18 N772DM this week to a fine young man in SoCal, Mark-Anthony. I told him that he should get on the forum and that you would all make him feel right at home as you did with me so many years ago. The main reason that I sold the airplane is that the FAA had made it a nightmare for me over the past couple years since they found out that I have severe sleep apnea and insomnia. The basically told me that I must log in a minimum 6hrs of sleep with a CPAP every night or I couldn't fly anymore. Most nights I'm lucky to get 4-5hrs because of my insomnia. Most nights I have been lying wide awake with this machine on my face, not because I needed it (I'd rather get up), but because the FAA said I had to. Over the past couple of years, this sucked the passion for flying right out of me, because every night has been a battle to keep the FAA happy with my sleep patterns. You have to love it when the feds tell you how much sleep you have to get. Anyways, when Dan sold his airplane and Ira put his up for sale, I realized that the 3 amigos were going to be no more and I was going to be one lone ranger. This made my inevitable decision easier. Also, Rich Brazell, at the last Visalia fly-in, said that I smelled like really bad rotten potatoes.... so, that was the icing on the cake for me...hehehe. I think I'm going to try sports cars for awhile. I wish all you Thorpers the best. It's been an incredible journey that I will always cherish. Sad to see you go Dean . Be sure to put me down as a reference for your next job and I'll be sure to mention what type of potato you smell like ! All fun aside the KVIS Fly In was one of my favorites ! Really like the park setting and the great time we had at nite at dinner ! It will be hard to replace the Three Amigos ! Agree with RB. You guys were the best. KVIS was always a hoot. I guess nobody will be calling the FSDO about buzzing the dam anymore. Good luck and God bless all. this #1 Amigo is still on his iron horse with wings, it is sad that I have become orphaned but I’m still in the game, I’ll continue to fly my Thorp as long as I am able, so don’t count me out, this Amigo hasn’t hung up his Sombrero yet, looking forward to seeing you all soon, sorry this years kvis gathering did happen but perhaps I can make something happen in the near future. Take Care, your Amigo.